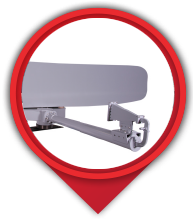 Easat antennas provide superior performance to conventional marine radar antennas, detecting very small targets at long ranges in all weather conditions. 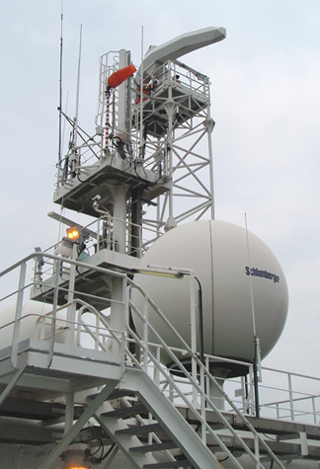 Easat Coastal Surveillance radars have been installed on an international oil company's FPSO (Floating Production Storage and Off-take) vessel in the Gulf of Guinea, providing operational managers with long-range detection, in all weather conditions, of any militant craft approaching the FPSO. Easat radar systems may be configured with auxiliary sub-systems, such as a slew-to-cue EO / IR camera for visual target identification and auto-track. Open architecture enables Easat radar antennas to be used with the latest solid-state transceivers or with traditional magnetrons. They can be integrated into existing processing and tracking hardware or linked to state-of-the-art processing and display systems. Easat offers complete solutions to potential customers to include site surveys, tower assembly design and integration with existing systems to ensure maximum cost-effectiveness.